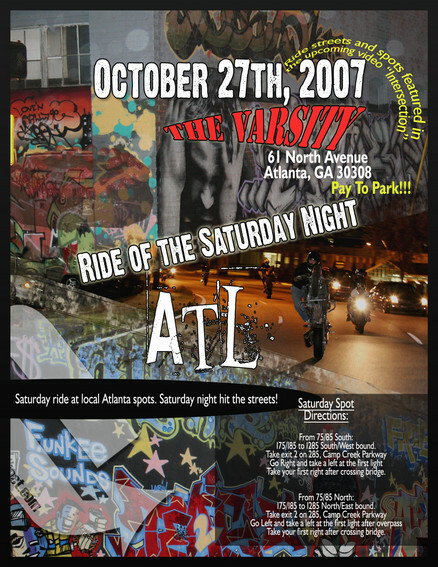 Come one, come all to The Ride of the Saturday Night in Atlanta on Oct. 27th, 2007. Ride during the day at a local Atlanta spot with riders from Florida, Georgia, North Carolina, South Carolina, Missouri, Indiana, Ohio in the final ATL ride of the year. Then once the sun goes down, join us as we cruise the downtown streets of Atlanta with the ATL Street Crew, Streetfighterz and more!